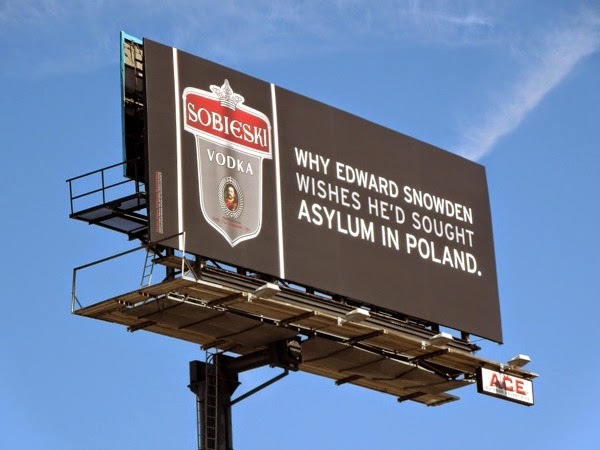 These new Sobieski Vodka billboards are sure to make the lip of the most hardened cynic curl into a wry smile, as we knew they knew how to make vodka, but who knew that the Polish had such a sense of humour. 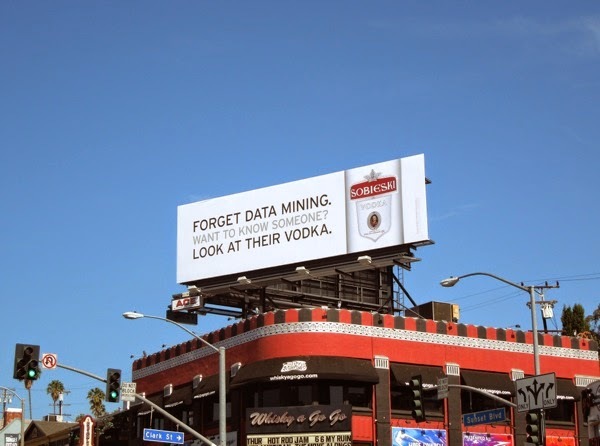 This witty new ad campaign by New York's Marty Weiss and Friends continues the vodka brand's tendency to pick up on current events and contemporary topics, like NSA spying, whistleblowing and the population's 24/7 online connection obsession, and delivers these fun billboards along L.A.'s Sunset Boulevard. 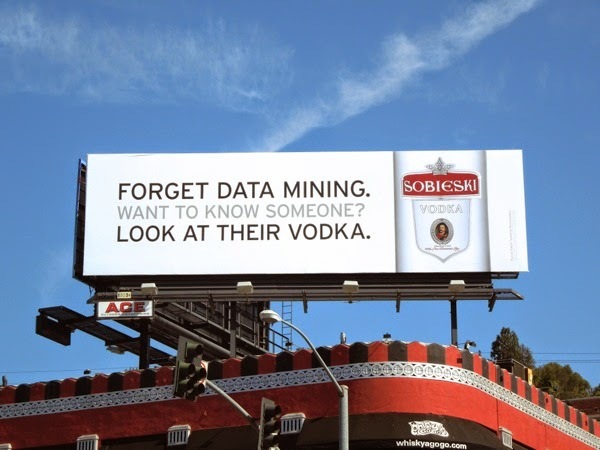 This approach certainly gives Sobieski Vodka its own personality and helps distinguish it from its varied competitors (and as you know there are many). 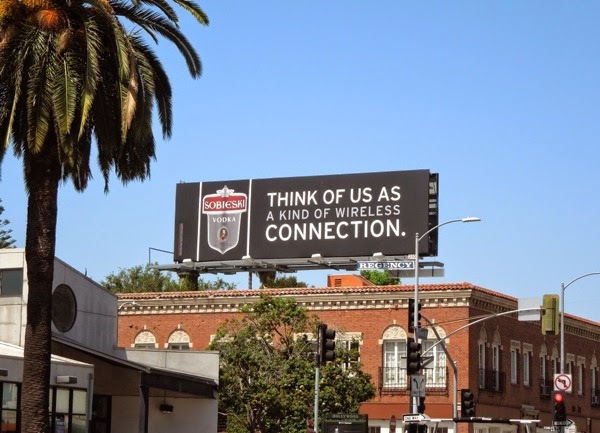 These timely outdoor ads were snapped at the intersection of San Vincente Boulevard and the Sunset Strip above and opposite the infamous Whiskey A Go-Go club venue, plus further east along Sunset Boulevard on June 4, 2014. 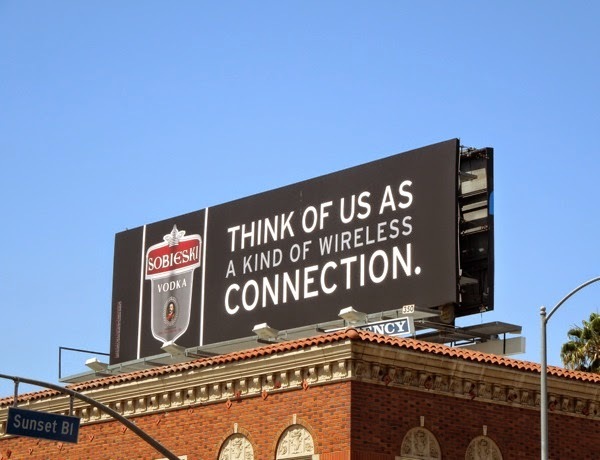 If you're a fan of these clever ad creatives, be sure to also check out these previous Sobieski Vodka billboards from around the skies of L.A., which were equally inspired. 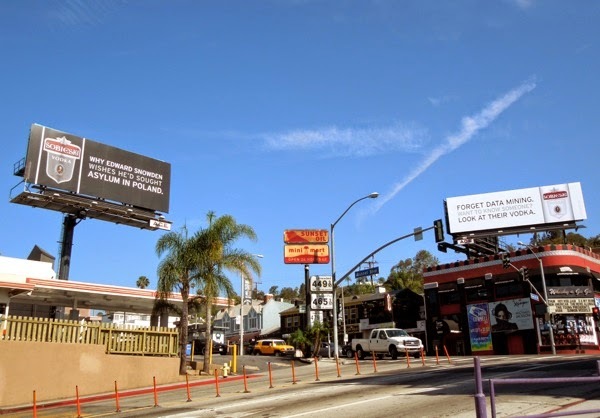 Is Daily Billboard the only one who feels like a cocktail now? 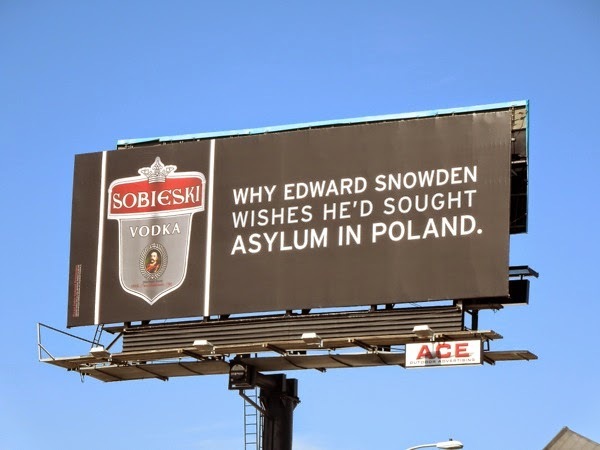 "Na zdrowie" (hopefully we haven't just called your mother a donkey).